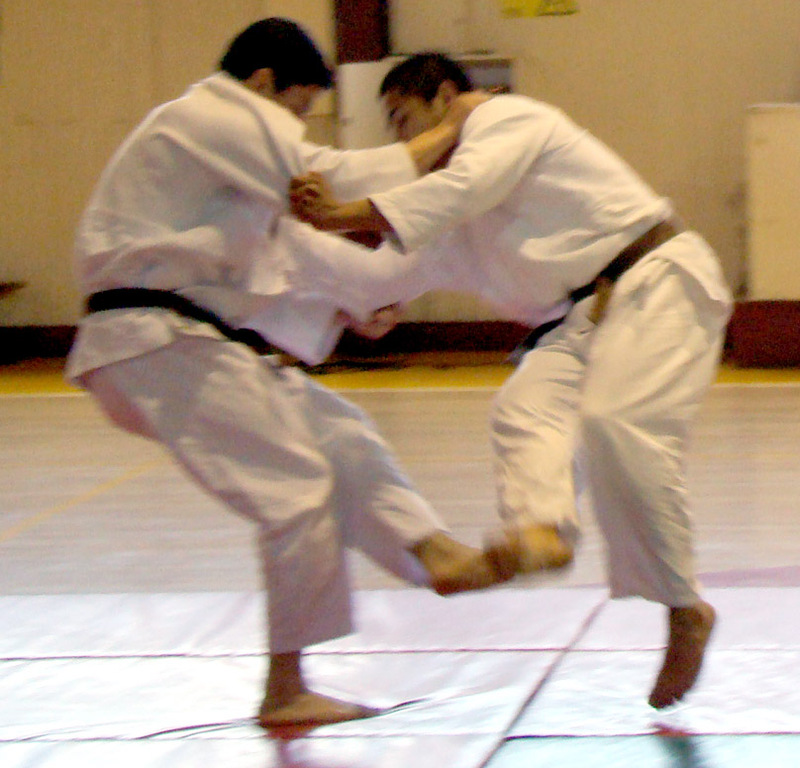 The push sweep is a rather basic transition from guard to mount. And yet, many novices don’t seem to get it, with many saying that it’s not as easy as it looks. That’s true, the push sweep is rather complicated, especially once you try to apply it to someone who knows how to defend against it. While the push sweep certainly isn’t something you can’t defend against, it is an effective way of turning the odds and reversing your opponent’s grappling position. If you’d like to learn how to do it, here’s a step-by-step procedure that’ll help you with how. While you’re in the guard and your opponent on top of you, grab their collar using your right hand. Be sure to keep your fingers inside and your thumb outside for maximum leverage. Then, use your free hand or, in this case, your left hand to grab their right elbow. Assuming that you’re in the closed guard, uncross your feet first and put your right foot on the ground. If not, then just proceed directly to the latter. You should be able to put all your weight on both your left shoulder and right foot now. This will make it easier for you to lift your hips upward and take to the If you notice, there’s a bit more space between you and your opponent now. That same space we talked about previously will help you in moving your right knee across the stomach of your opponent. If you know the scissor sweep, then this should be easier. Put your left leg next to the opposite knee of your opponent, which in this case is the right one. The wide base of your opponent will make it hard to do a scissor sweep. As such, you’ll want to move your left foot directly on your opponent’s right knee. Then, push with all your might, while using your right knee, the one that’s on your opponent’s stomach, for much needed leverage. The push with your left foot should destroy the base of your opponent. It should be easy to straighten your right leg now and sweep your opponent. This will also give you a chance to move from the guard to a mounted position. You’ll also have your opponent’s right arm at your mercy, possibly for an arm-lock if you know how to do it. While it does employ a simple push, using the push sweep to its maximum efficiency is not easy. It takes months and years of practice to be able to do it properly in a real match and even more time to do it without fail. Then again, BJJ is a martial art that requires a great deal of patience. This is evidenced by how long it takes to progress from one belt to another. So, in that sense, there’s no rush. No one’s forcing you to learn everything in one day. All that’s expected of you is to try your best to improve and learn.